I don’t know how this happened but I have never read Your Money or Your Life until now. This is pretty strange considering I’ve read every single personal finance book my library has. (Seriously!) But apparently they never had this one. While I don’t particularly love everything about this book (I do believe it’s great for anyone just starting to work on their finances though) there’s one point made that I absolutely, positively agree with. That point is finding YOUR enough. I had originally planned to write a post about cutting variable expenses today. But after reading about finding your “enough” I soon realized that I’m in no position to offer anyone advice on cutting variable expenses. After all, what one person finds value in someone else might hate. I might think you’re traveling is a waste of money and you might think my monthly trip to Chuck E. Cheese is a waste of money. But really, who are we to judge each other? We all find value in different things. It’s so easy to get wrapped up into what is enough for other people. While I seriously love reading the extreme frugality blogs, eating oatmeal for breakfast everyday just to save money isn’t for me. And that’s okay. The point of finding your enough is to find fulfillment. For instance one person may be able to spend $400 in groceries and be completely happy with their diet. Another person (living in the same area) might need to spend $1,000 a month to buy top of the line products to feel satisfied that they’re eating the right way. There’s nothing at all wrong with these big differences. We all have different levels of enough. But the thing is, once you go past your “enough” you don’t draw anymore happiness from your purchases, they just become a waste of money! Can We Talk About the Cost of Living? At one point or another we’re all guilty of comparing our finances to someone else. So, I wanted to bring up the cost of living. In terms of spending, my enough has stayed at the $1,600 mark (with slight variances) for the last three years or so. This amount of spending, which includes all bills, is obviously enough to keep me fulfilled. But I live in rural Ohio – a low cost of living type of place. If I were to move to say, New York City, the same amount of money it would take to keep me happy might very well double, if not triple. If you see someone else living well on $1,500 a month that could very well have to do with where they live. Likewise, I think it’s easy to judge someone spending $5,000 a month and automatically assume they’re wasting money. That person’s level enough could be the same exact as yours but they live in a high cost area. Where we live is also an enough level we need to find. And then there are people who are just the opposite and thrive in the city. They would think living in the country is terribly boring. I personally don’t find enjoyment in long term travel but plenty of other people do. There’s nothing wrong with either situation. It’s a personal choice. When you find the level at which you’re fulfilled don’t exceed it! Spending beyond this level isn’t going to make you any happier. Do you find fulfillment in spending a lot of money or do you know your “enough” numbers? I took that book out from the library last year too. I’m not sure I know my enough numbers, but we’re trying to get our spending to match our enough wherever that happens to be. We’re always changing our budget to try to get the most enough from our buck! Yeah that enough number changes! I’ve stayed around the $1,600 mark in spending for the most part the past three years but those budget categories have definitely changed. Yes I like the life energy concept. I’m the same way. I don’t want to trade my life energy for materialistic stuff. I want to get my little mini farm. It definitely puts things into perspective. I always feel very spendy, but I think it’s mostly just an awareness that I sometimes spend more than my enough. Or that maybe what I consider enough is more than for some of my peers. I go out to eat a little more than I should, spend more money on rent than I’d like. But I think it’s reasonable and don’t beat myself up too much about it. As long as I remain thoughtful and conscious in my spending, I think that’s my enough. I’ve never read that book, but I think I might have to now. I’ve never quite had the words to express what you just did in terms of “finding your enough.” It’s tough not to compare, because you’re right, no one should judge anyone else. I personally think that disposable diapers are a huge waste of money (we use cloth), but I don’t know the other’s personal situation. They could easily see the money I spend on fresh produce as a waste or the money I spend on scrapbooking materials is a waste. There are a couple interesting things to learn from the book. One being finding that level of enough and the second determining what you’re spending your life energy on as Michelle pointed. I thought the rest of it was pretty basic though. But yes, it’s so easy for us to judge one another’s spending which is silly seeing as we all have different values and draw happiness from different things. It’s something I’m going to try to remain aware of though. I don’t compare myself to other people’s monthly budgets in terms of dollar amounts, but more like percentages (like what percentage of their monthly income goes towards rent, groceries, etc.) I find it more realistic to do it this way because everyone’s situation is so different! I definitely know my “enough” when it comes to materialistic things. It took me a long time to stop keeping up with the Joneses and really figure out what makes me happiest – like saving my fun money for travel! I also chalk this up to age – the older I get, the wiser I get about money haha. I may have to check out that book! 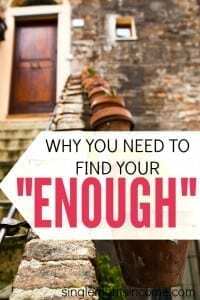 I totally agree with you that you have to find YOUR “enough” and only worry about that. My husband and I just moved into a pretty large (to us) house, and while some may find that wasteful, we love it and are willing to sacrifice in other areas. There’s no need to justify our expenses to other people just like there’s no need for us to justify what other people are spending their money on. To each his own! Love this!! The point about things being relative to where you live is so important. Sometimes, I resent some of the things that I have to spend money on, because I live in a rural area. (ie: having to drive to a city to buy running shoes) When that happens, I have to keep in mind the savings that also result, like never having to pay for parking, and having cheap/easy/free access to tonnes of outdoor recreation. I haven’t read that book in many years. Time for a Re Read. The hard part is waking up and realizing that you have debt or a situation where you can not pay for your “Enoughs”. 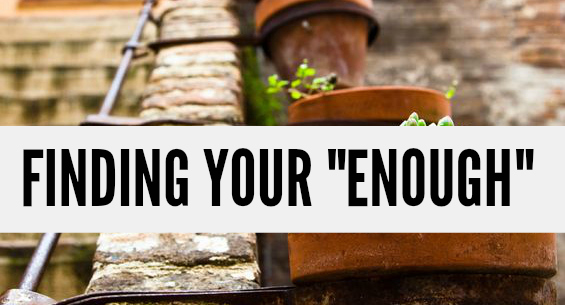 How do you get your “Enoughs” on half the money ? Ex: You may love outdoor winter sports. But, what does that have to do with buying a pair of $ 2k skis ? If you are debt free, saving for a rainy day and have the cash … go for it. ; ) I’m afraid that most folks who buy these skis ( or sport equipment, gaming computer, designer clothes, what ever), are not in that situation. They are in debt and / or robbing Peter to pay Paul. Truely being an adult is having as much fun as you can in a snow ball fight when you can’t buy the skis. Great post! I have been thinking about this a lot and planning to write about it soon. I live in a city and love it but it does have a higher cost of living than rural, yet way lower than a bigger city. It’s also personal preference because I know people in my city that spend 3-4 times what I do and it’s still not enough for them. Finding your number and being comfortable with it is very important! Hi. My enough is pretty low. With all the expenses is $ 1000. I try to save as much as I can, and not spend. Thank you for all your great posts. You are amazing. Good job. 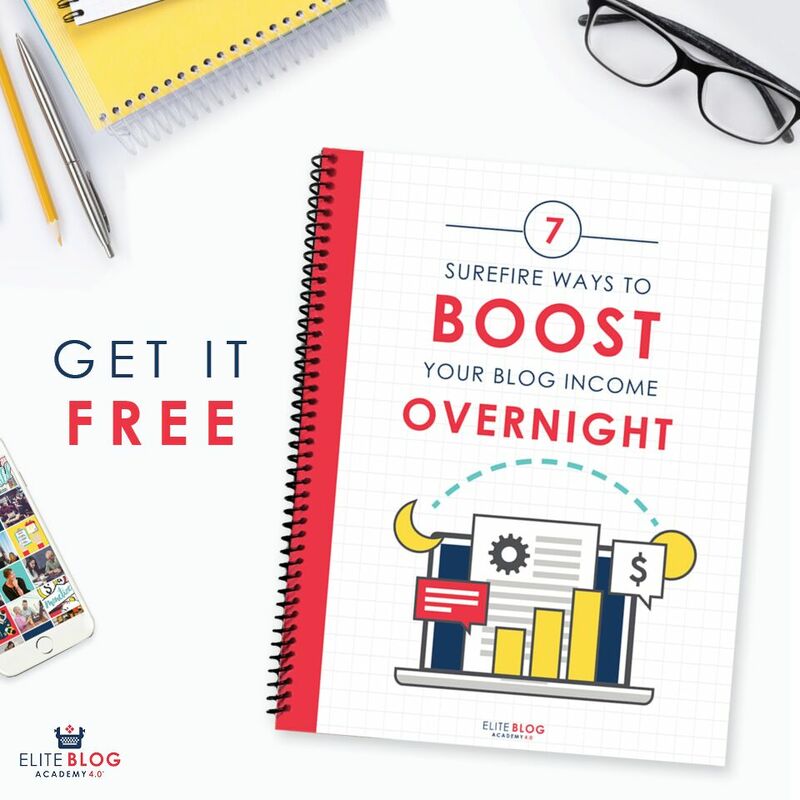 I add your blog to my blog list. Check my blog, maybe I can help someone with how to spend as less as it is possible. Love this, Alexa. I’m totally going to check out the book. I think so many times the word ambition is put on such a high pedastool in our society that we don’t often seek to be sated; we just seek more. And that’s a rough way to live life.